Oh Army of Two, the little franchise that just keeps on keeping on. The first title followed mercenaries Salem and Rios and their dude-bro antics: blowing sh*t up and giving each other high fives along the way. The second attempted to be decidedly more mature, offering moral choices with consequence. 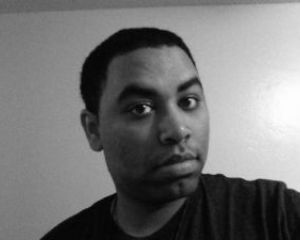 Now we have a new pair of mercs, a new developer at the helm, and a huge new slant on destruction, courtesy of the Frostbite 2 engine. But does it make for a new experience, or at least, one worth getting hyped for? In my time with the game, probably. 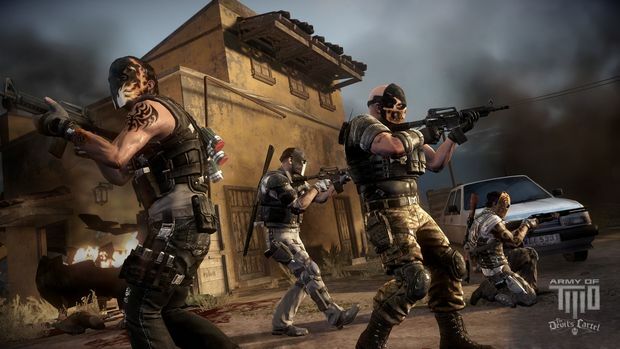 Ousting series mainstays Salem and Rios, Army of Two: The Devil's Cartel follows the operations of T.W.O. 's newest operatives Alpha and Bravo. While the protagonists are new, their bromance is almost the same. Alpha is the gruff responsible one, while Bravo is young, brash, and probably loves to air guitar over a fresh kill as much as getting the kill itself. Salem and Rios do make appearances through the game, however, such as in the mission I played where you actually accompany them. Oh, and Outkast's Big Boi and B.O.B. are both in the game and playable. So yeah, that's happening. The Devil's Cartel packs some nifty visual touches thanks to Frostbite 2. Battlefield 3 showed the engine's capabilities with environmental destruction, Need for Speed: The Run (shut up, I liked that game) showed what it could do with environmental set pieces, and now this game redirects the Frostbite's prowess towards the human body. Specifically, what happens when a masked man takes a shotgun to another man's torso. Do so, and you are treated with the sight of his ribcage smiling back at you. Or maybe you're the marksman type that wants to go for a head shot. Great! Now you get to see the human brain rattle on the floor. The gore is almost educational in its amount of detail. The demo I played was relativity short though, so it remains to be seen just how dynamic this system is. If I could add one gripe, it's that the destructibility doesn't extend to the environment much, outside of your typical crates, boxes, and exploding barrels. It just feels odd to have dismembered and decapitated and entire small village of goons, but see my shotgun meet its match when it goes up against a wooden door. The hyper violence is further accented by the gameplay, specifically the new Overkill mechanic. It works like this: you kill things, the meter builds, you hit LB, and in an instant you and your partner are transformed into grim reapers. Damage output is high, while your body responds to bullets like they were mosquito bites. It's as straightforward and damaging as it needs to be. We've seen this kind of mechanic in games before, and it fits in particularly well here. Now, as more of a personal aside, there was one thing I specifically took issue with. I don't like how the cartel setting is being handled. 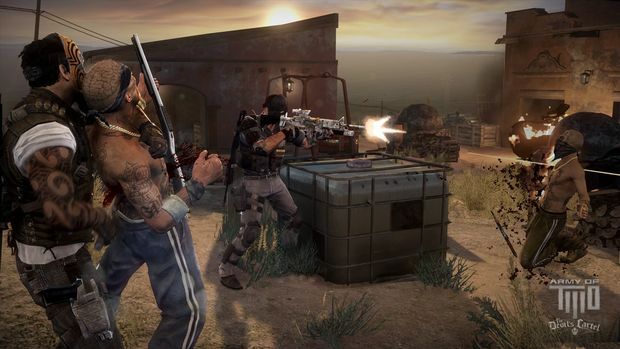 Like Call of Juarez: The Cartel before it, one of the most dangerous gangland settings is essentially just a background for what's more or less mindless action. Sure, there may be some story that tries to square this all away, but the gameplay seems to be speaking otherwise -- especially when you have a flagship mechanic in Overkill that is all about emphasizing relentless action. Cartel violence is a very real, current problem, and I fear that The Devil's Cartel simply doesn't respect that. I'm not exactly high on this one, but I'm keeping Army of Two: The Devil's Cartel on my to-watch list. What it sets out to do, it seems to be doing well. Provided that the weapon customization remains as deep as it was in The 40th Day, and the story treats the setting with a bit more taste, I could see this one turning out better than the already solid last. After all, third time's the charm, right?